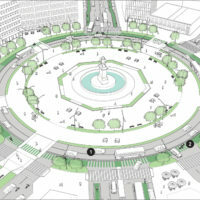 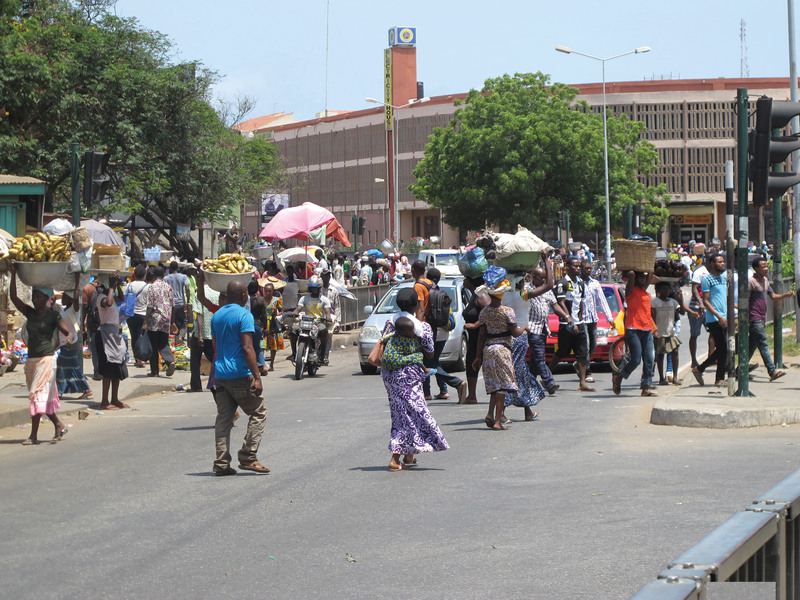 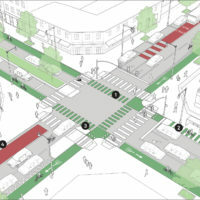 Intersections are where demands of different street users come together. 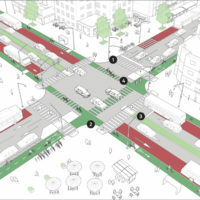 They are key focal points of activity and decision making, requiring all users to face, manage, and maneuver around each other. 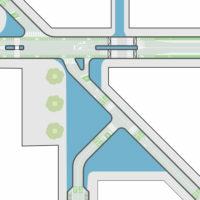 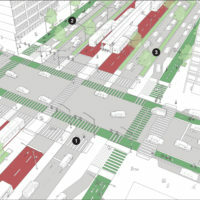 Intersections vary in configuration, type, and size, and they play a key role in shaping the overall safety, legibility, and efficiency of a city’s street network. 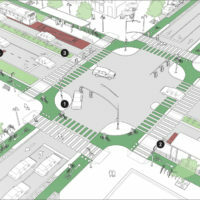 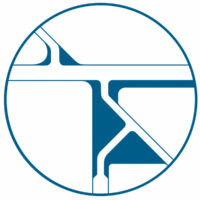 Since most conflicts occur at intersections, careful redesign presents opportunities to reduce crashes and fatalities. 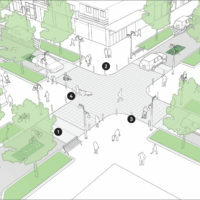 Good intersection design can also tap civic and economic potential, infusing overbuilt or underutilized spaces with street activity. 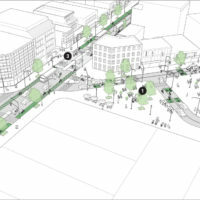 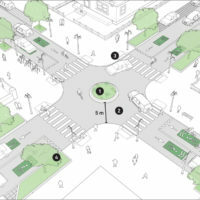 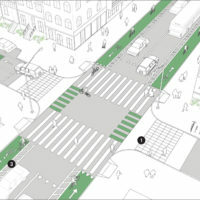 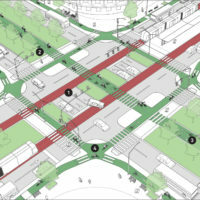 Intersection design should facilitate visibility and predictability for all users, creating an environment in which complex movements feel safe, easy, and intuitive. 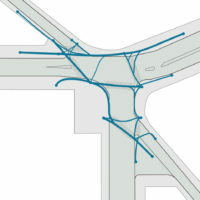 This chapter discusses overall intersection design principles and provides examples of intersection typologies based on scale and complexity, while referencing design elements discussed in previous chapters. 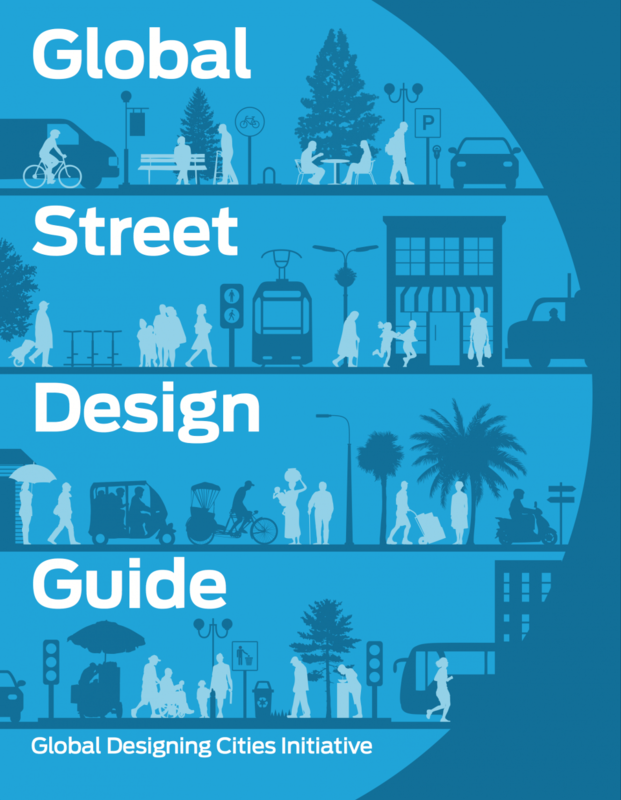 Adapted by Global Street Design Guide published by Island Press.